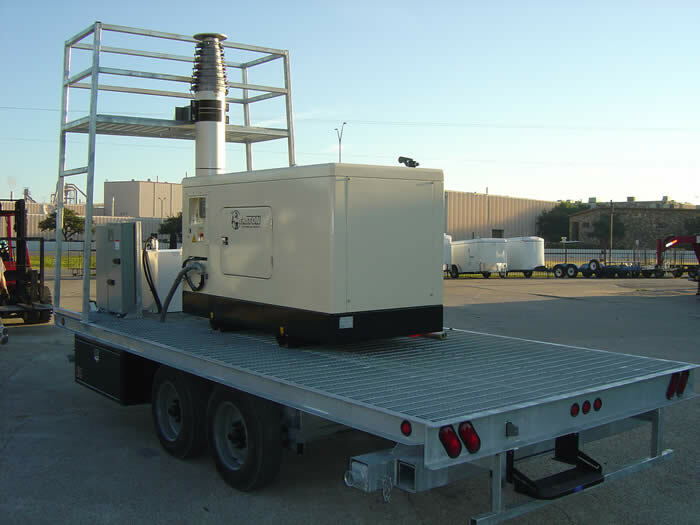 Cell Site Trailers (CST) for mobile (temporary) outdoor cellular Base Transceiver Station (BTS) applications typically equipped with a diesel generator, Will-Burt locking pneumatic mast, maintenance platform, RF antenna mounting kit, main AC utility connection, AC load center and automatic or manual transfer switch. These locking pneumatic masts are offered in extended heights from 25' to 164'. 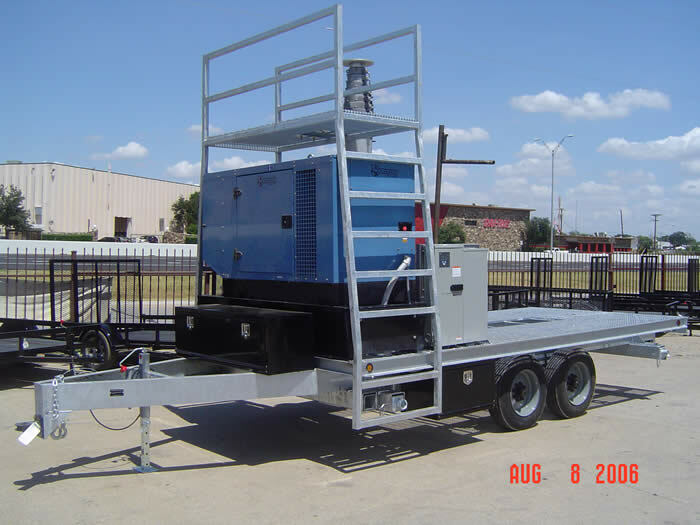 Standard trailer equipment includes: all steel / welded construction, galvanized steel grated deck, maintenance platform, RV step on the rear of the trailer, (3) lockable tool boxes, oversized dual axles (8,000 lb. rating each; maintenance free (run in oil bath); 16,000 lb. GVWR), tongue jack, safety chains, recessed spare tire, running lights / reflectors, electric brakes and (4) leveling jacks. 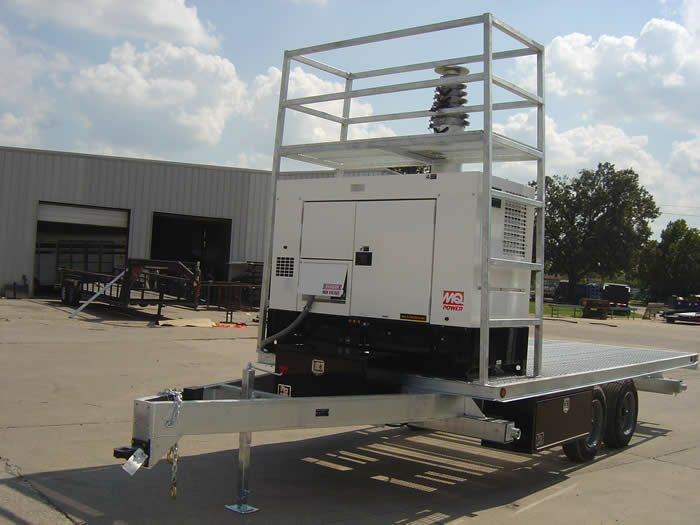 Optional equipment includes: an integrated tank under the trailer deck or an external tank for increased generator run-time capacity, additional lockable tool boxes, a cable management kit for the mast, a mounting kit for a microwave dish and cable reels to help manage the BTS cables when this product is being transported. This trailer just described can support up to (4) large BTS cabinets. 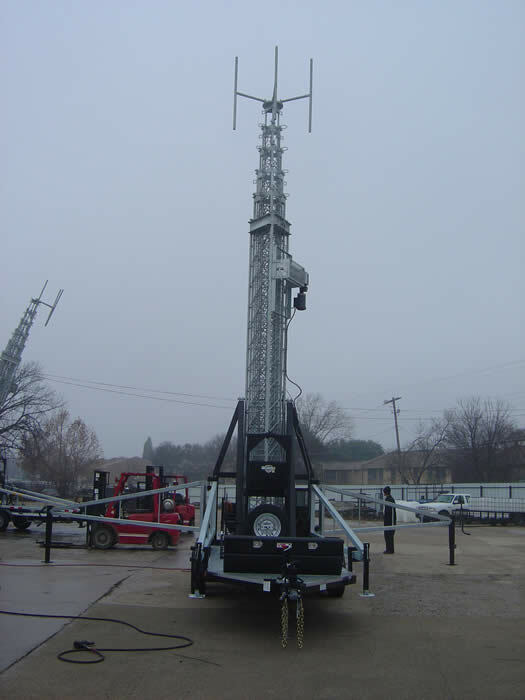 For the vertical mounted Will-Burt locking pneumatic masts, we typically use the 60' Super Heavy Duty mast (530 lb payload capacity). 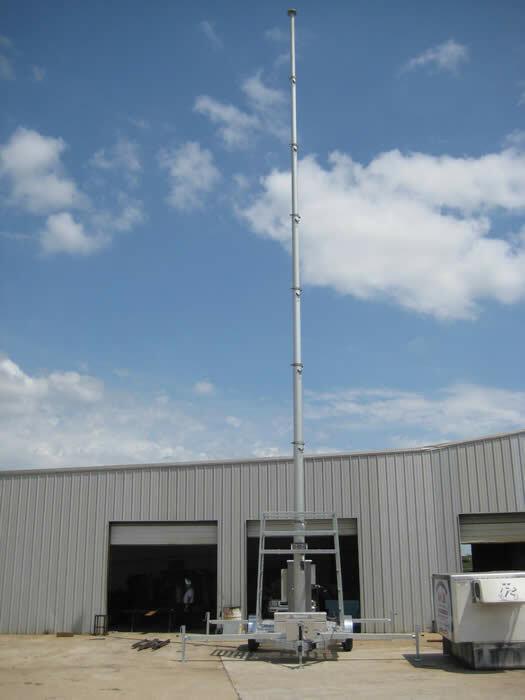 However, we an also use a 76' Heavy Duty mast in this vertical mounted appilcation, equipped with either a 300 lb or 400 lb payload capacity. 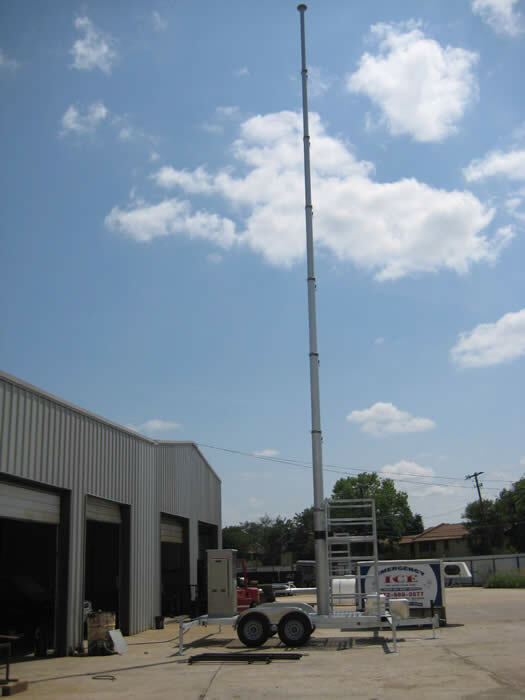 We now offer a 59' and 80' Will-Burt locking mast with a 1,200 lb payload capacity! We also offer NextMove positioners for the MW dish, so it can be adjusted / aligned from the ground, rather than having to lower the mast or move the trailer in order to align it. 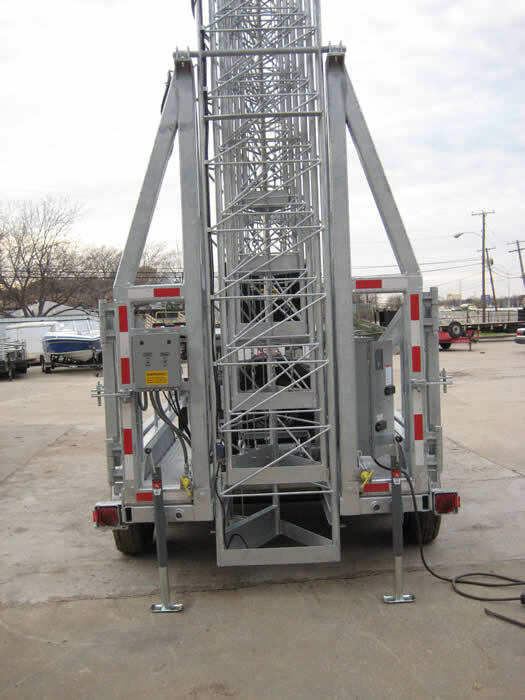 We also have developed our own systems for using taller masts that can not be mounted vertically on our heaviest duty trailer. 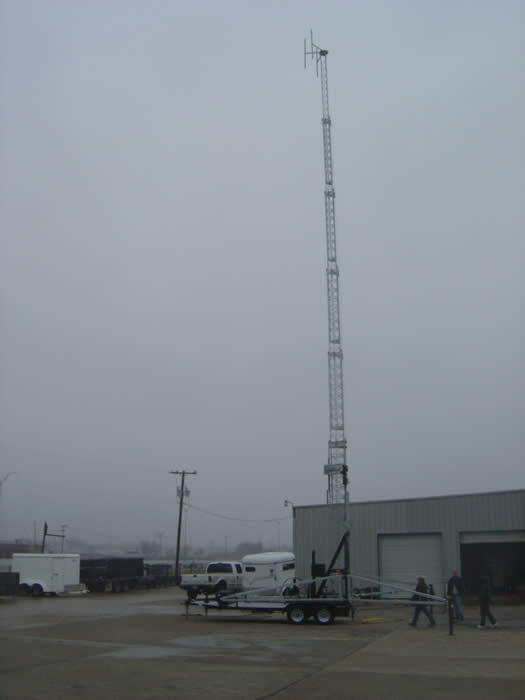 Typically in these applications, we use the Will-Burt 100' Super Heavy Duty mast. 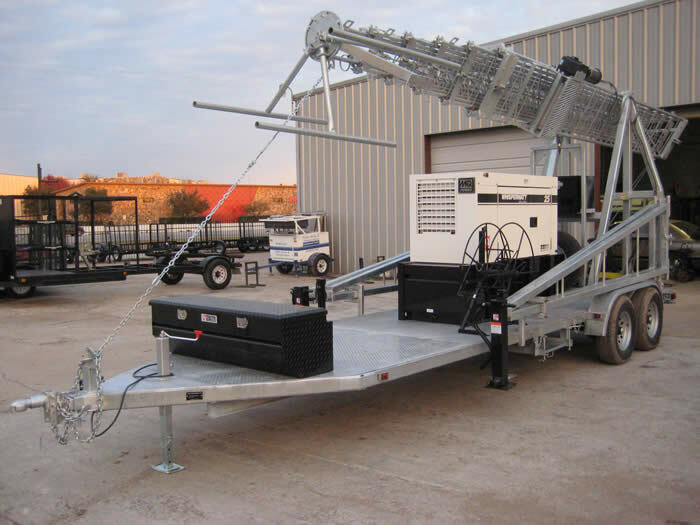 We have our own custom winch system, described below, for any masts that can not be mounted vertically due to height, or if the application has a height limit, such as a parking garage or transport in a cargo plane. 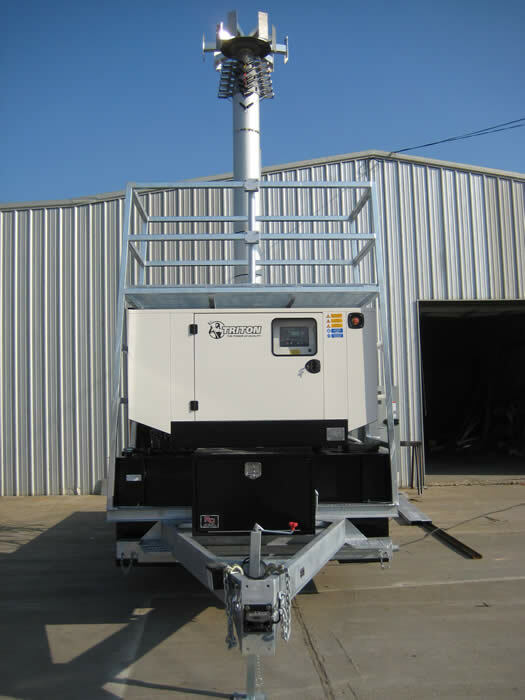 We have our own electric winch system which allows for 100' masts and taller to be used without losing the use of the trailer deck space, while allowing for safe transport. This electric winch is installed onto our maintenance platform and the mast is assembled into a galavnaized cradle assembly (per the photos at the bottom of this page), pulled up to vertical for deployment and layed down horizontal for transport. 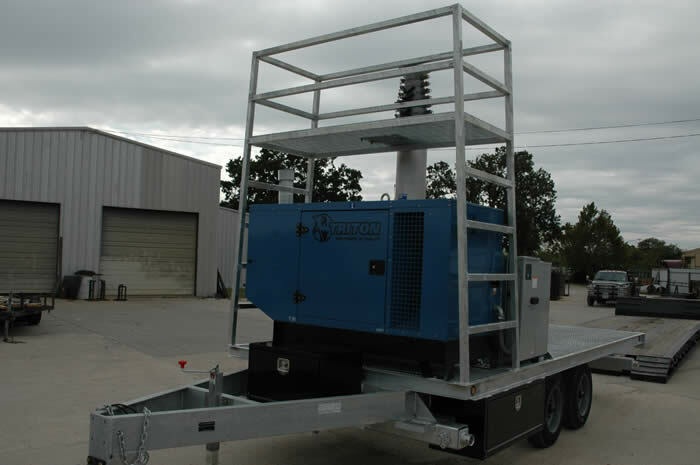 This winch system uses two heavy duty galvanized steel winch cables; only one is required, so the second one serves as a safety backup. 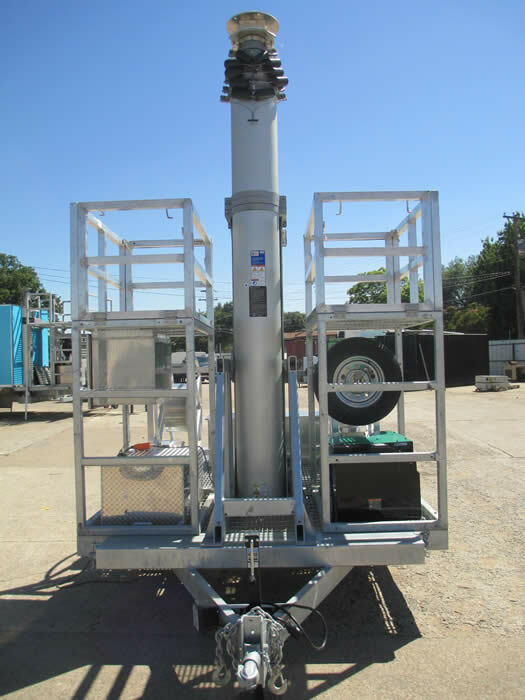 The photos at the bottom of this page show a CST equipped with a 59' ultra mast in this configuration, with fold down aluminum safety rails; allowing this product to be shipped internationally via a cargo plane. 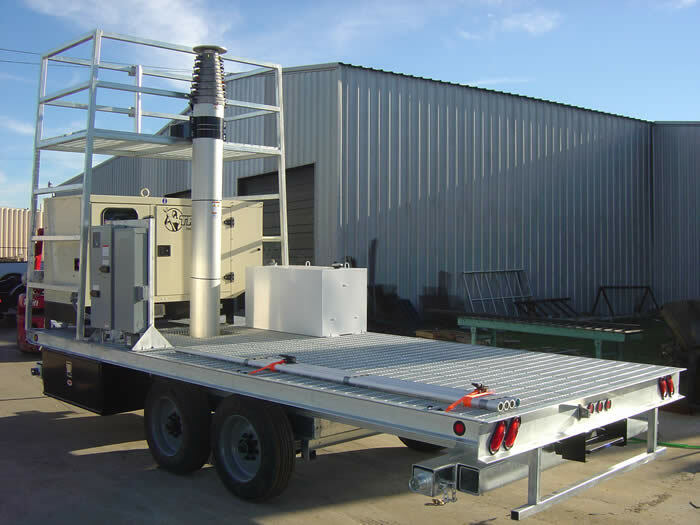 We have also designed and built a smaller version of our pneumatic trailer setup, using the same type of deck as our large pneumatic trailer shown in the photos below. This trailer is approximately 20.5' overall with an overall deck length of almost 16' and deck width of 82". This trailer has enough room to support at least (2) large BTS cabinets, along with a generator equipped with a base fuel tank. 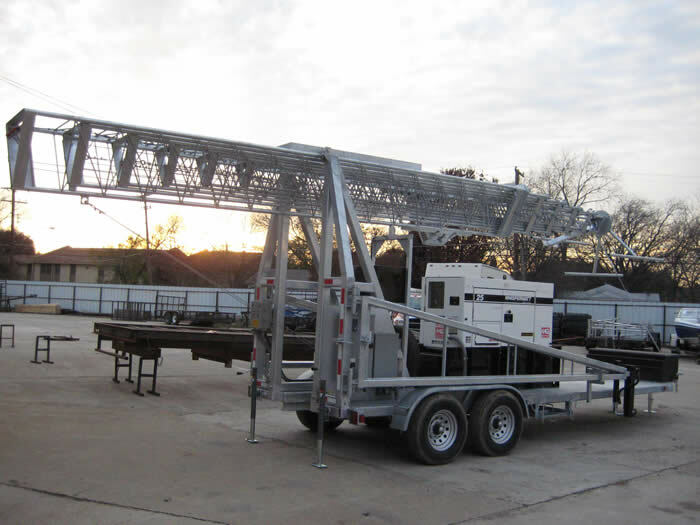 The mast in this smaller configuration is limited to a maximum height of 76' mast, due to the smaller weight of this trailer Photos of this trailer just described can be found near the bottom of this page. We also can provide a hinged antenna mount assembly similar to the one shown in the last two products shown on this page. NOTE: The last trailer shown on this page shows our smallest configuration which can easily be transported through and onto the top of a parking garage, as it is only 6' in overall height. 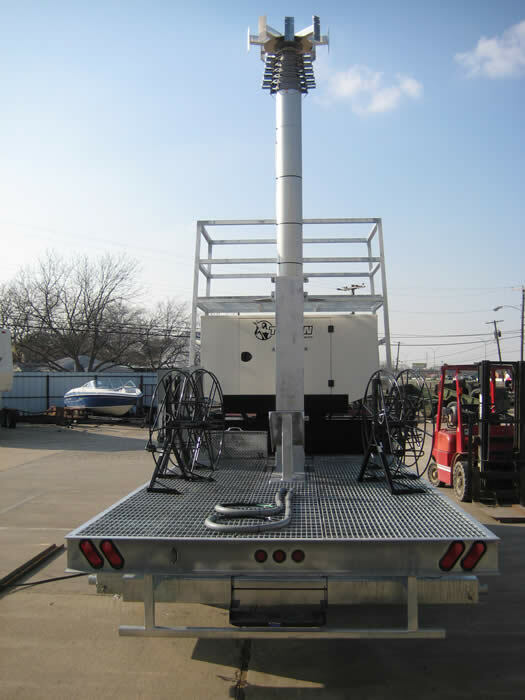 We can also provide Cell Site Trailers (CST) equipped with motorized lattice towers, rather than the masts described above. 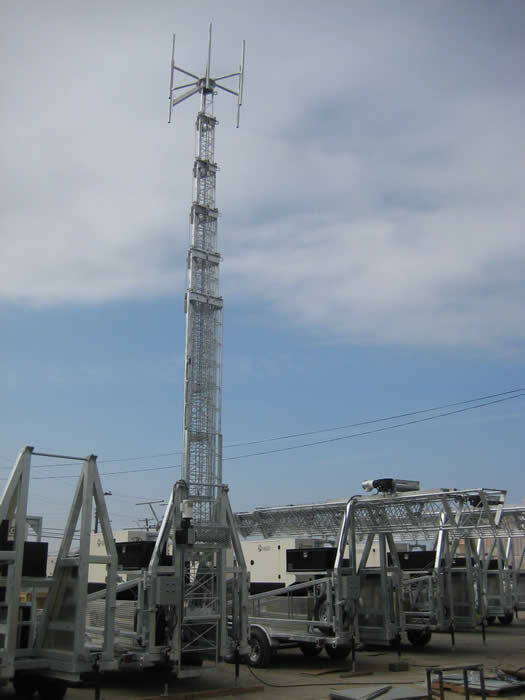 These motorized lattice towers are offered in extended heights of 55'-60', 80'-85', 106'-120' and 150'. 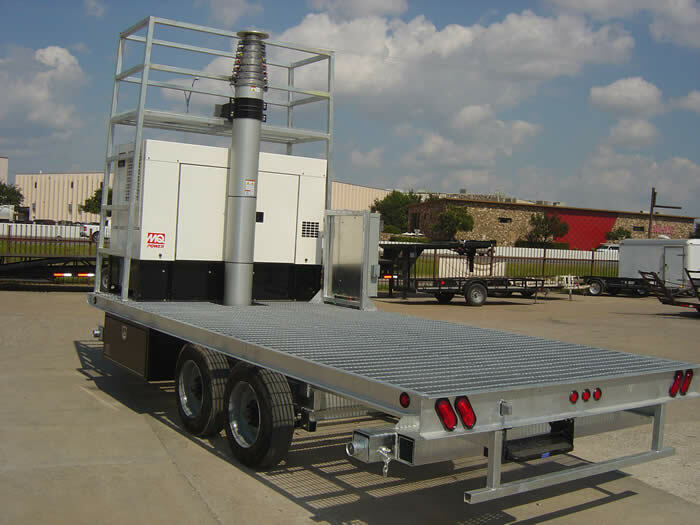 For towers up to 114', the trailers come standard with dual 7,000 lb axles (14,000 lb. GVWR) and the decks are coverd with either galvanized steel or aluminum tread plate. 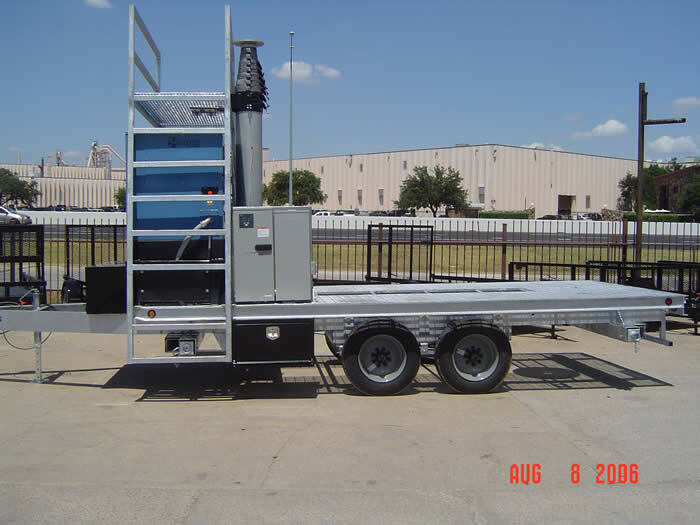 In addition, there are (4) galvanized or painted outriggers provided which transport attached to the sides of the trailer or that pull out from under the deck. 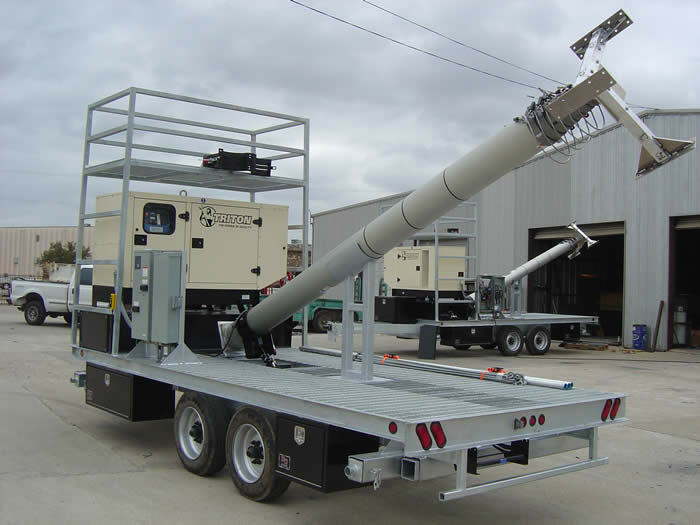 For towers 120' and talller, the trailers are equipped with dual 12,000 lb axles (24,000 lb GVWR). 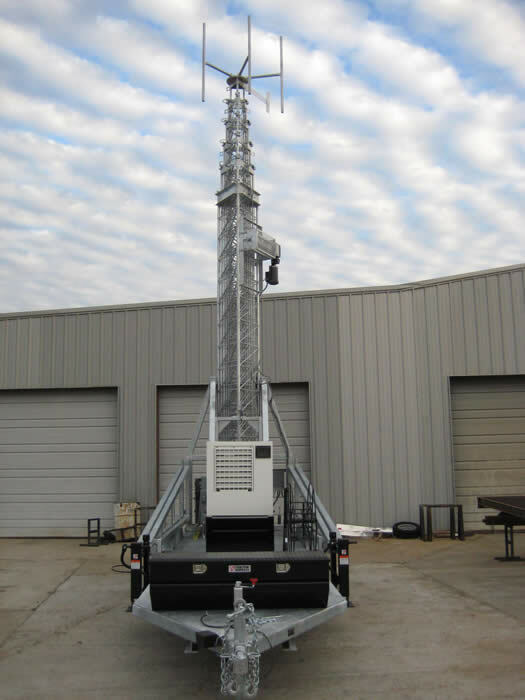 There are photos below on this webpage that show several of these CST's equipped with a 106' motorized lattice tower. 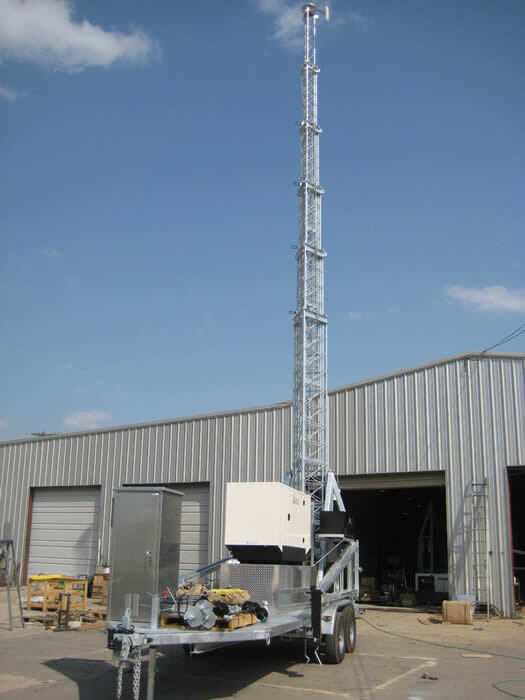 In addition to the mobile cellular applications described abover, our Cell Site Trailers can also be used for large job site applications to support all required communications at this site during the construction phase. 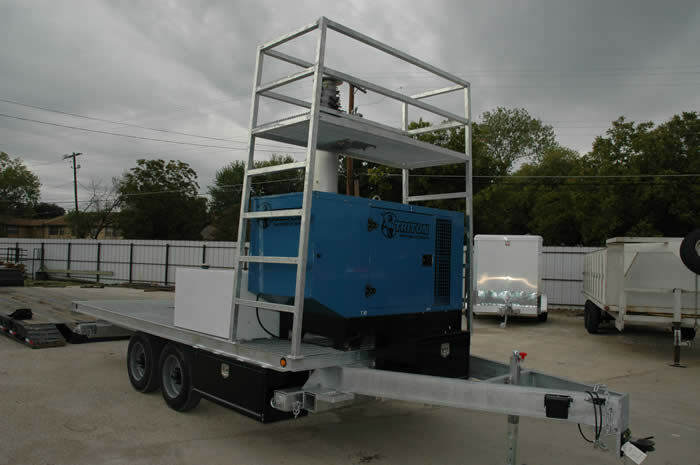 We can custom design and build these CSTs in any size requirements, in any configuration, for any application. 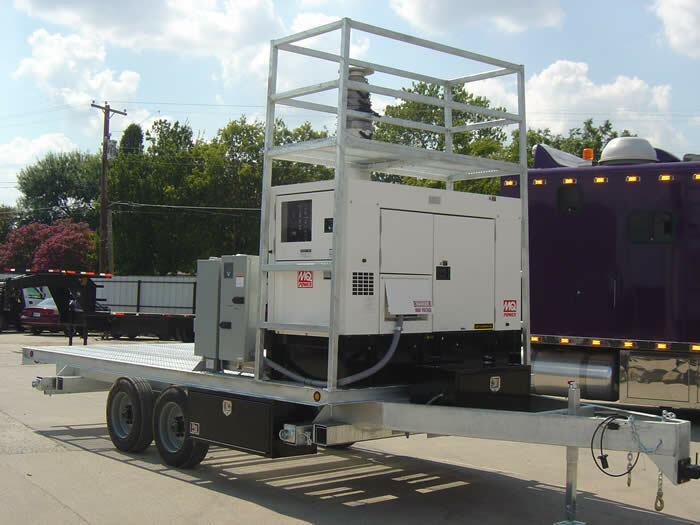 In addition, we can integrate the customer owned equipment into this product, creating a turn key solution. Note, all electrical equipment and wiring are installed per the National Electric Code. 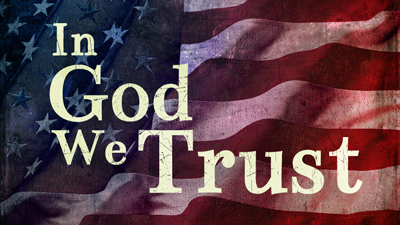 Our integration includes the testing of all equipment installed to ensure that the system operates correctly together. Our standard trailer warranty is 3 years, our integration warranty is 1 year and all other OEM material is warranted by the original manufacturers. The first set of photos below show one of our CSTs that we shipped to one of our customers. 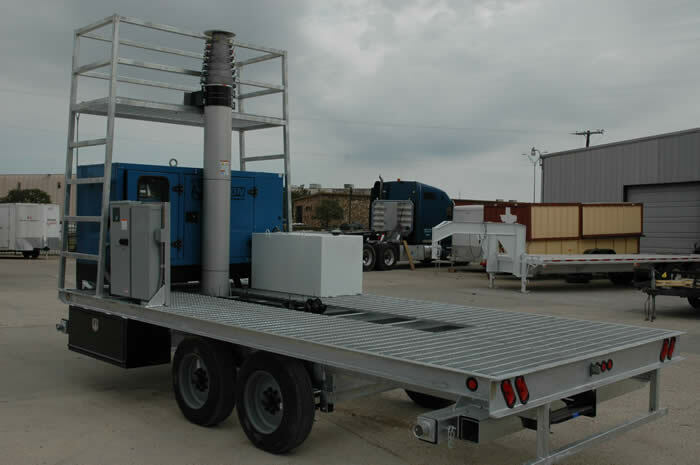 It includes a 25' long trailer (18'L x 8'W bed) equipped as shown with dual axles, recessed spare tire, three lockable tool boxes and a maintenance platform / ladder for servicing the antennas; a 30 KW generator installed onto a 100 gallon steel base tank; a 60' Will-Burt Super Heavy Duty pneumatic mast (530 lb payload); an electrical panel attached to the trailer deck used to attach the 200A automatic transfer switch, the 200A breaker panelr, the outdoor duplex electrical outlet, and master ground bar (on rear side). The second set of photos below show the above CST in actual application in Guyana, care of Guyana Telephone & Telegraph Co- CellinkPlus. 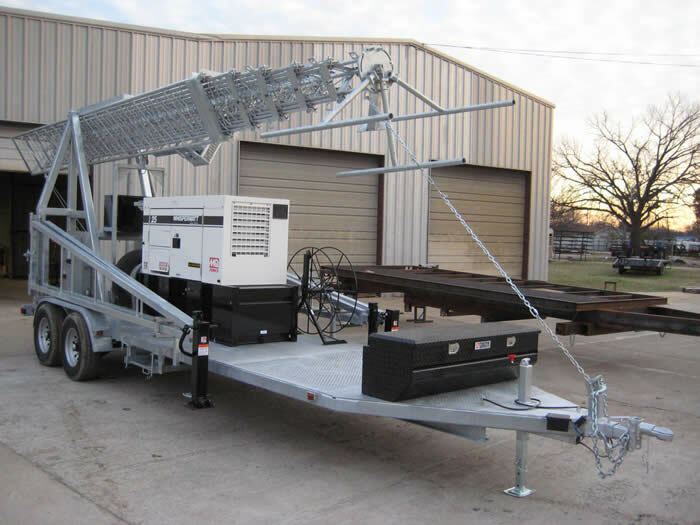 As you can see, the trailer is equipped with (1) BTS cabinet and the Will-Burt pneumatic mast is supporting (3) RF antennas and (1) Microwave Dish using our antenna mount provided. The two photos under this first photo show the pneumatic mast partially raised and the trailer outriggers & galvanized guy wires that are deployed to support this system. The third set of photos below show another one of our CST's that we shipped to a customer. 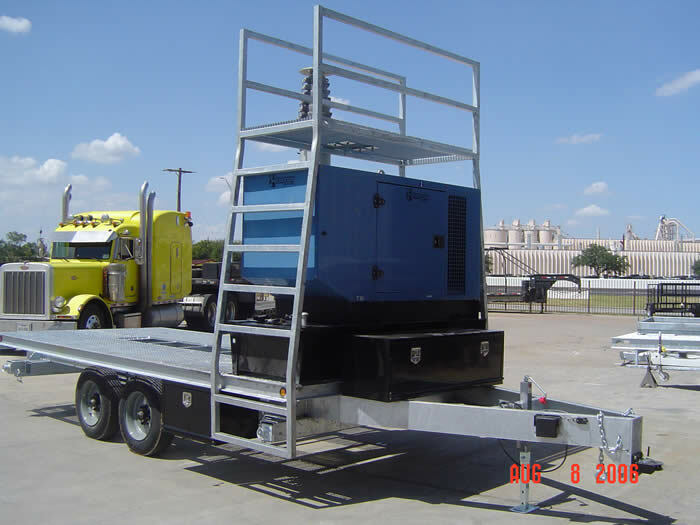 It includes a 25' long trailer (18' bed) equipped as shown with dual axles, recessed spare tire, three lockable tool boxes and a maintenance platform / ladder for servicing the antennas; a 30 KW generator with a 100 gallon external steel tank; a 60' Super Heavy Duty Will-Burt mast (530 lb paylaod) an electrical panel attached to the trailer deck used to attach the 200A automatic transfer switch, the 200A breaker panel, the outdoor duplex electrical outlet, and master ground bar (on rear side). 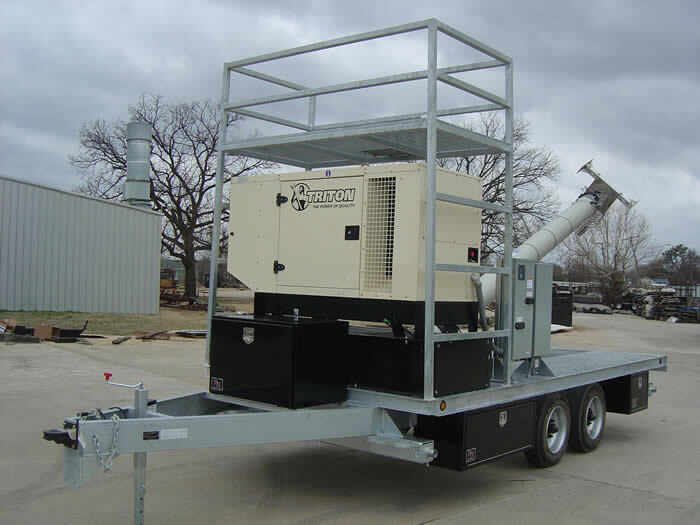 Following are three sets of photos of some of our Cell Site Trailers we have sold to several different customers, which show the variations in how we equip them, depending on the customer's requirements. As stated above, we can customize them for any application. 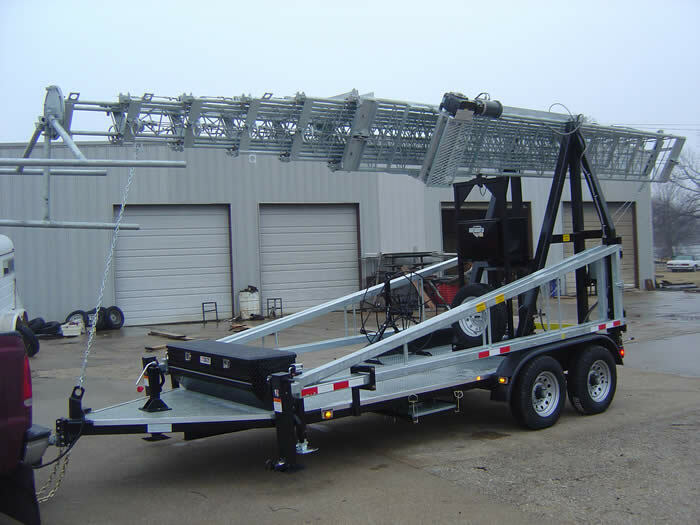 Attached below are several photos of some Cell Site Trailers we shipped equipped with 100' pnuematic masts (530 lb paylaod) using our custom electric winch system that allows the mast to be tilted from the cradle position for transport up to the vertical position for deployment and visa versa. We added the additional supports on the top rail of the platform and from the platform to the trailer deck in order to help support the mast and winch for use in a coastal application. This specific customer completed the remaining integration themselves. 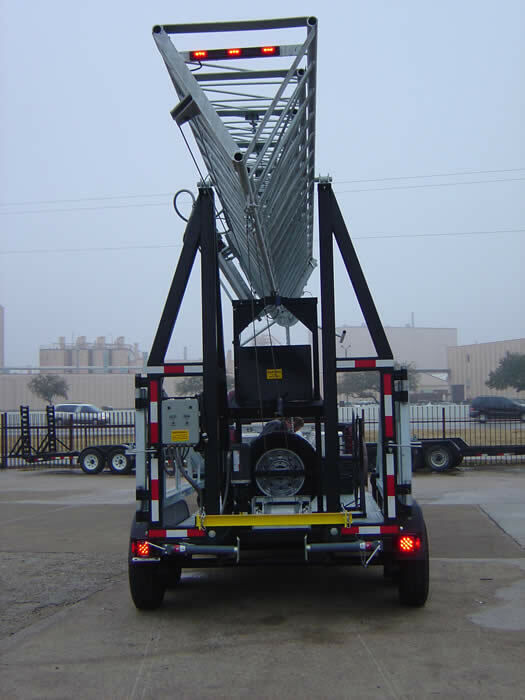 Attached below are several photos of two Cell Site Trailers we shipped equipped with 100' pnuematic masts (530 lb payload) using our custom hydraulic system that allows the mast to be tilted from the cradle position for transport up to the vertical position for deployment and visa versa. 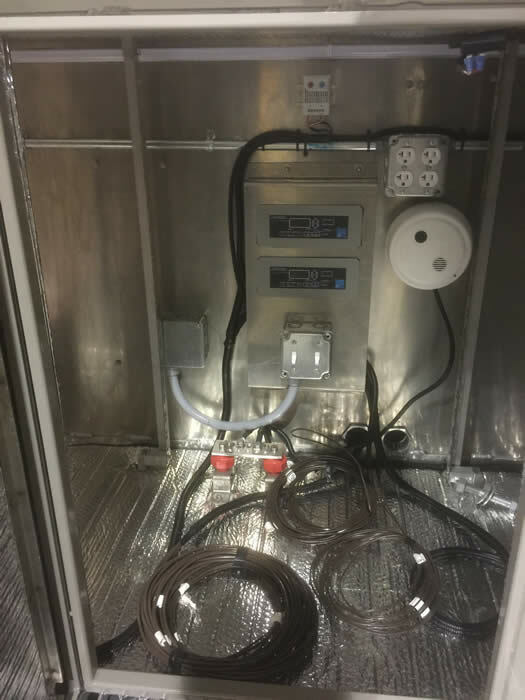 This specific configuration is equipped with a 30 KW generator and a 100 gallon double walled base tank, as well as our standard 200A ATS and 200A breaker panel, allowing for up to (4) large BTS cabinets to be installed on our trailer. Also shown is our antenna kit, without poles, attached to the top of the mast. 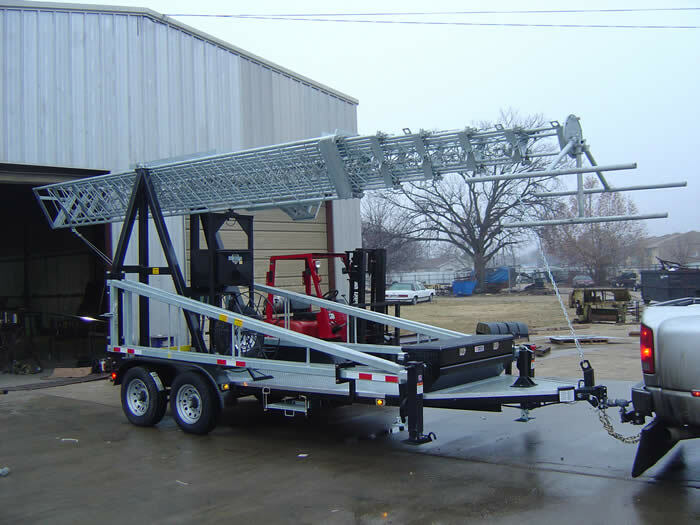 Attached below are several photos of two Cell Site Trailers we shipped equipped with 100' pnuematic masts (530 lb payload) using our custom hydraulic system that allows the mast to be tilted from the cradle position for transport up to the vertical position for deployment and visa versa. 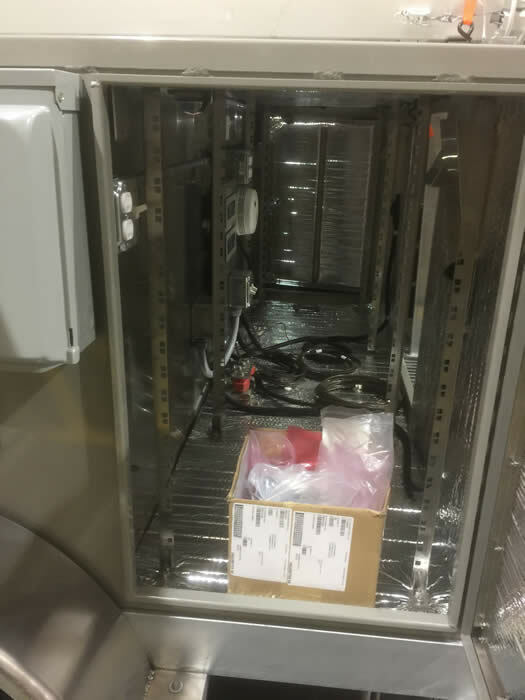 This specific configuration is equipped with a 30 KW generator and a 100 gallon double walled base tank, as well as our standard 200A ATS and 200A breaker panel, allowing for up to (2) large BTS cabinets to be installed on our trailer. It also includes (4) cable reels for use in storing the RF cables during transport mode. We also provided the power and ground cables for the (2) BTS cabinets which were installed on the rear corners of our trailer. And, we also provided a custom RF antenna kit which allows for up to (9) RF antennas to be installed together, such that (3) panel antennas can be aligned together in (3) different directions, creating a triangle similar to one seen on permanent cell towers. 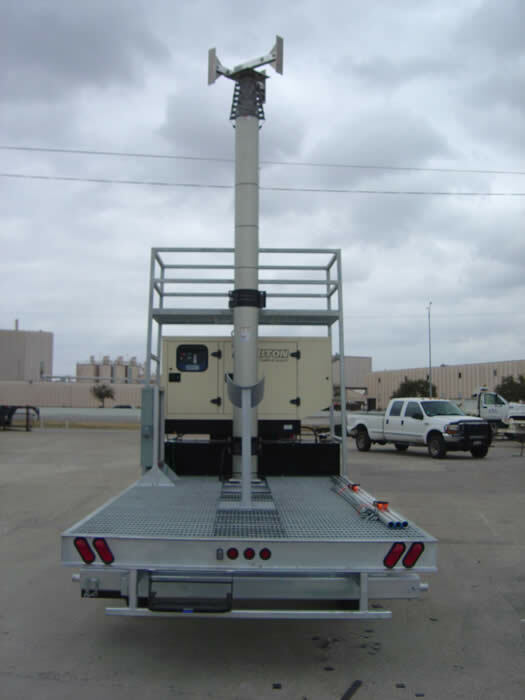 Attached below are several photos of Cell Site Trailers we shipped equipped with 106' motorized lattice towers. These CST's are equipped with our standard trailer for this product. However, we offer extended versions of this trailer as shown in the next set of photos below. 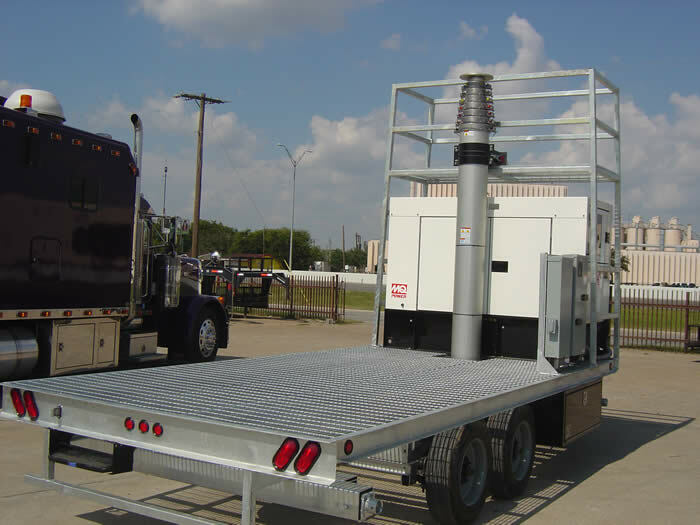 Attached beloware photos of a Cell Site Trailer we shipped to a customer which is equipped with an extended trailer (6' of length added) for installation of (2) small BTS cabinets on the front of the deck in front of the generator. 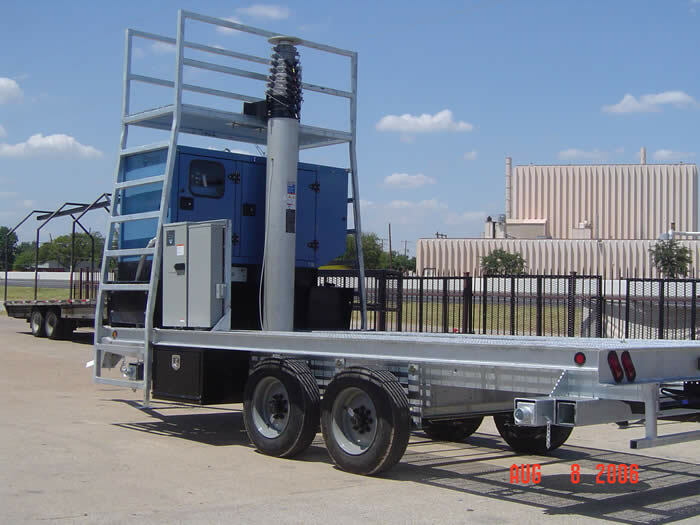 The trailer is galvanized and is equipped with the same 106' motorized lattice tower with a galvanized tower base, a 25 KW generator e/w a large internal fuel tank, as well as a 100A ATS and 100A breaker panel. This trailer is also equipped with a removable coupler, to help prevent theft. 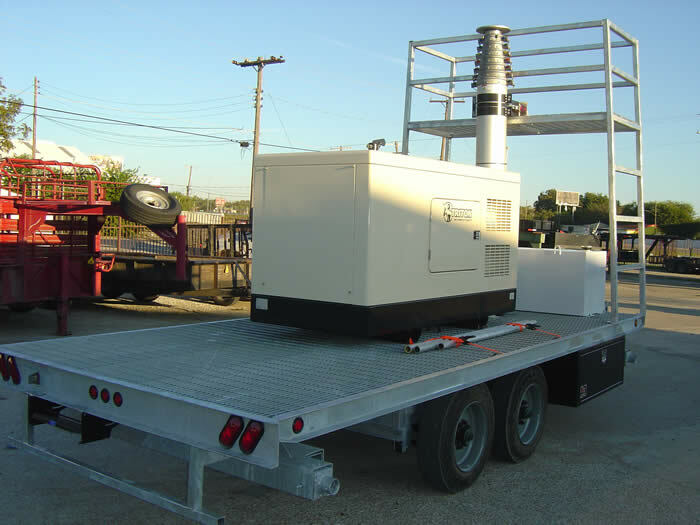 Attached beloware photos of a similar Cell Site Trailer equipped with an extended trailer (6' of length added) for installation of (2) BTS cabinets in front of the generator. 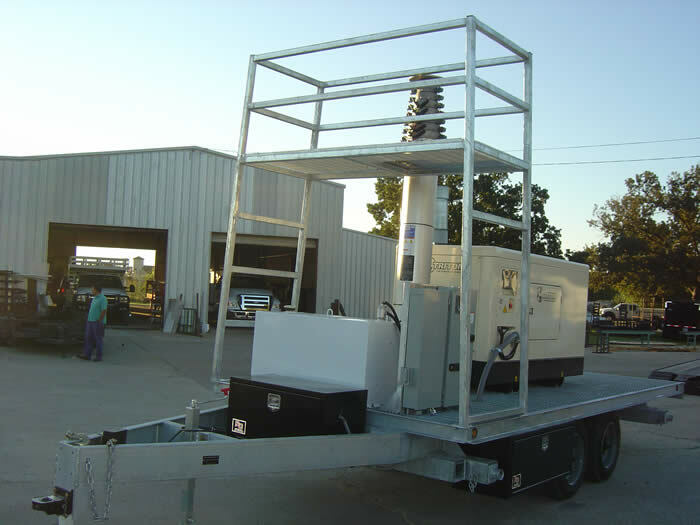 The trailer is galvanized and is equipped with the same 106' motorized lattice tower with a galvanized tower base, a 30 KW generator e/w a large custom 225 gallon fuel tank under the generator's platform, as well as a 200A ATS an 200A breaker panel. 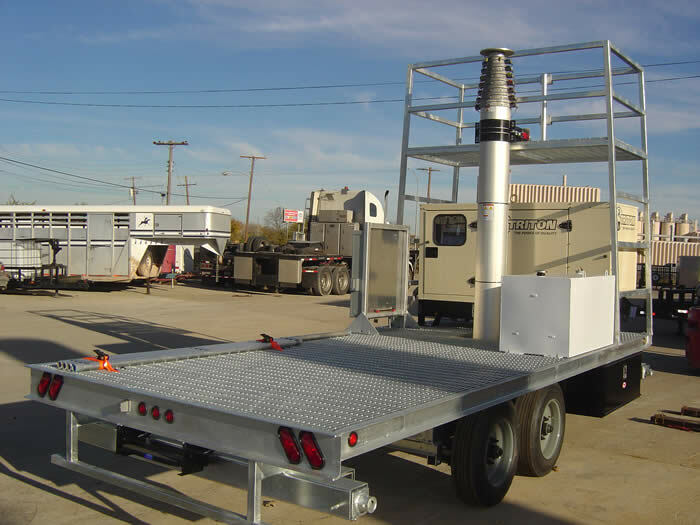 Attached below is our smallest pneumatic Cell Site Trailer setup, which we currently have in stock that we plan to use for customer demonstrations. 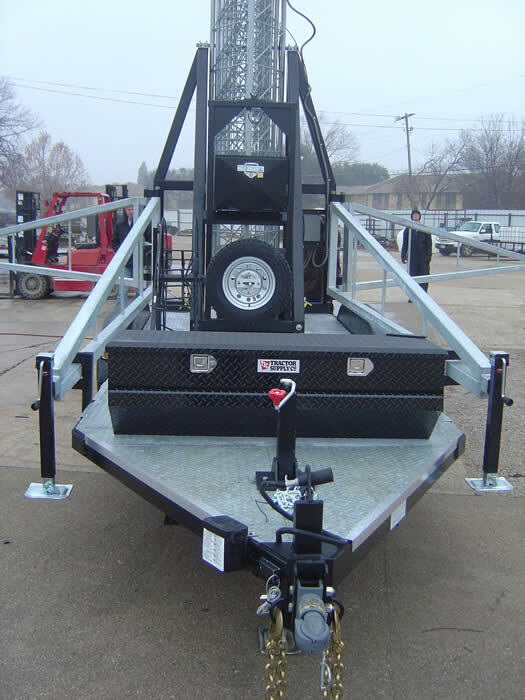 Overall, this trailer is 20'-6"L x 8'-6"W x 12'H (82" in between the wheel wells), and the overall deck length including the outrigger tubes on the front and rear is 15'-8.3" (provides for 10' of usable deck space behind the mast). 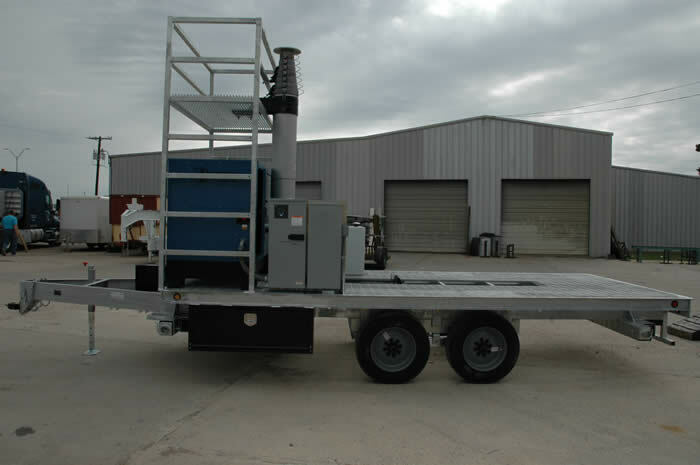 The trailer frame, steel grating deck and maintenance platform are hot dipped galvanized. It includes (2) 7,000 lb axles, giving it a GVWR of 14,000 lbs. It also includes our standard 60' mast (530 lb payload), an aluminum tool box on the tongue that holds the air compressor, a larger tool box behind it that stores all the accessories, and an optional miscellaneous cabinet, 62"H x 25"W x 25"D, 33RU's (19" rack mounting) on the rear of the deck equipped with a 6,000 BTU air conditioner (also includes a 400W heater). 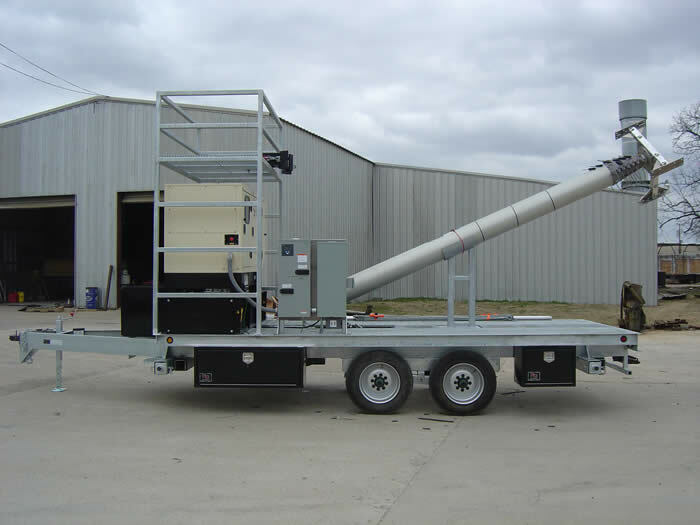 Attached below is one of our standard pneumatic trailers (25'L x 8'W x 13'H overall, 18'L x 8'W bed, 2x 8K lb axles for 16K lb GVWR) equipped with a 60' pneumatic mast with a 530 lb payload capacity and a 10'L custom antenna / radio head antenna mount system, equipped with a hand crank winch on the front to easily lift it up and lock into into place for the application, or lay it down for transport. 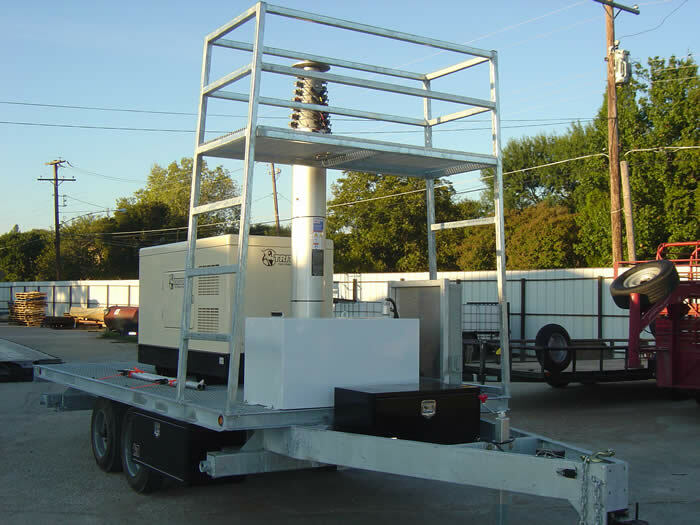 Also, includes a 100A Cam-Lok ATS, 100A breaker panel and 20KW diesel generator (under the platform) with a custom 100 galllon aluminum fuel tank underneath. 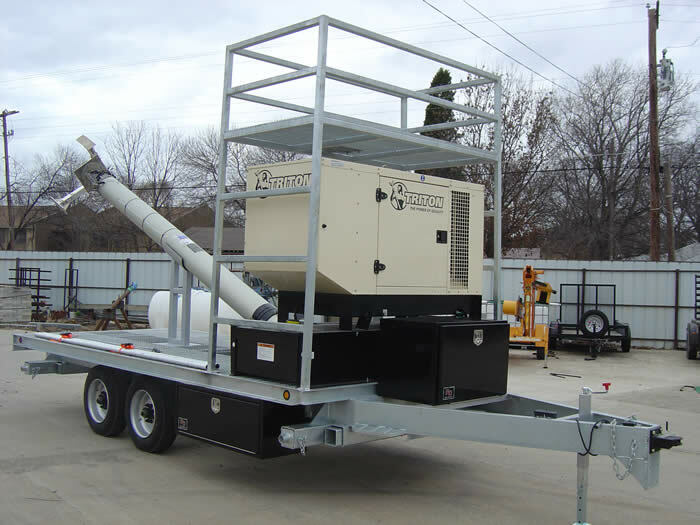 Below is one of our smaller configrations equipped with a lighter trailer (22'-7"L x 8'W overall; 16'L x 8'W bed; 2X 5,200 lb axles), including the 58' locking mast (200 lb payload), electric winch and lay down assembly, and fold down aluminum upper safety rails to allow it to be parked inside of an 8' garage door, with an 11KW diesel generator with a 90 gallon fuel tank, 100A MTS e/w Hubble input connector and 100A breaker panel; along with (2) aluminum side rails that also serve as ramps. 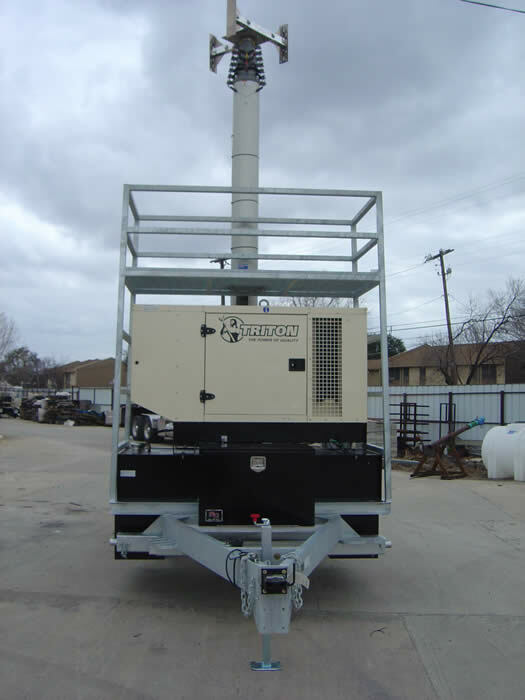 Below is an example of our smallest configuration, 16'L overall x 8'-6" (12'-6" deck) with (4) angled outriggers, which can actually be driven through and onto the top of a parking garage, as the overall height is only 6', due to the use of a galvanized hinged mast base assembly that is equipped with a double cable winch assembly, allowing the mast to be laid down vertical for transport and vertical for the application. 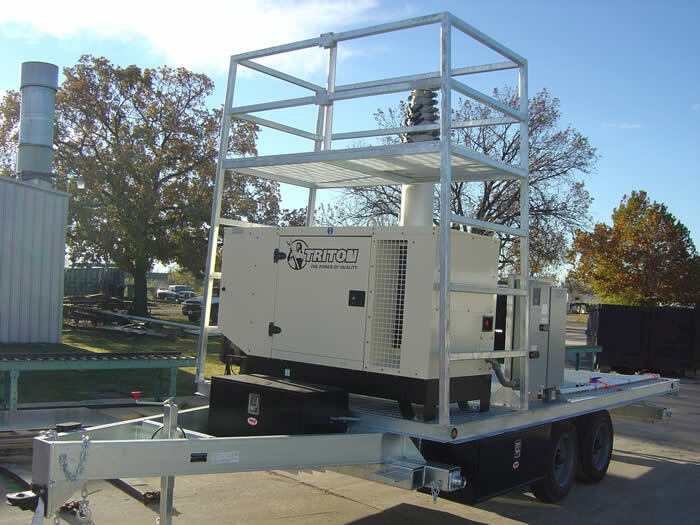 The product shown below is equipped with a 53'-6"' Comrod cable driven mast (181 lb payload capacity), hinged antenna mount assembly, 7KW Kubota diesel generator e/w Dynagen GSC300 controller, custom all aluminum cabinet (rear compartment houses the rack mounted equipment (cooled and heated with two air conditioners), while the front two compartments house the batteries in one and the electrical panels in the other), custom round cable reel, and many lockable security covers. 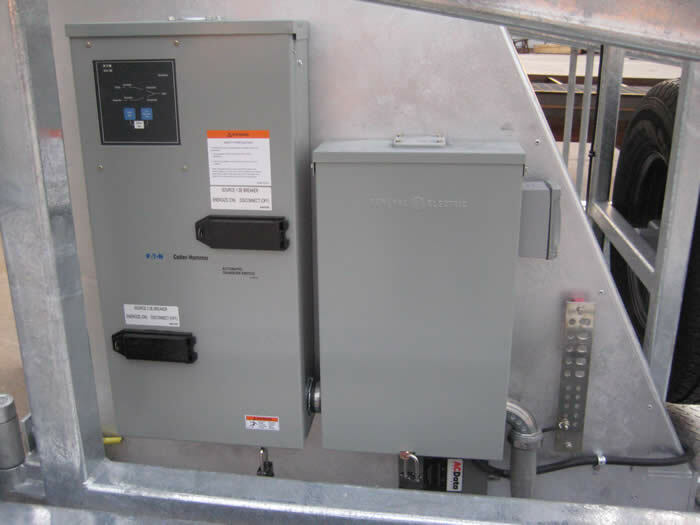 This product can easily be configured for use with up to a 76' pneumatic mast. 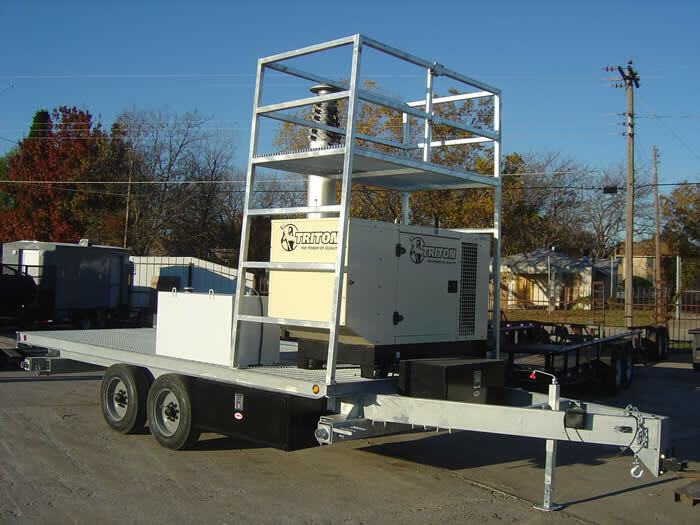 Below is another example of one of our smallest CST configuration, 17'-10"L overall x 8' (14' deck) with (4) double-tubed outriggers, equipped with a 59' ultra mast (1,200 lb payload), 5KW Commercial Onan QD5000 generator, 55 gallon diesel tank, electrical panels and fold down safety rails. 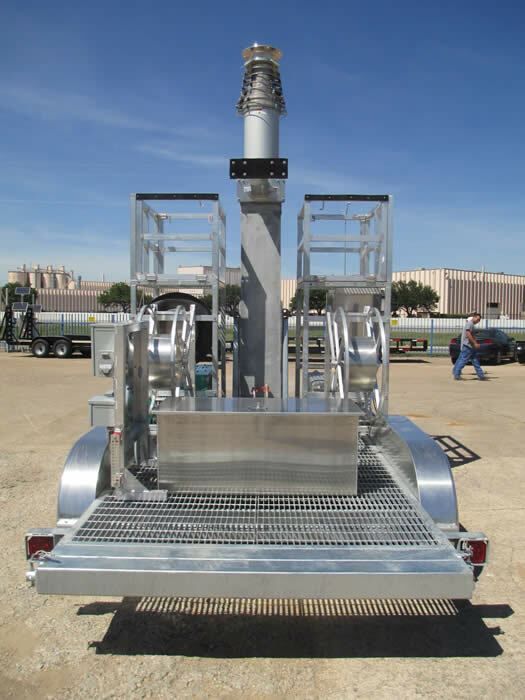 This product was designed and built in this manner for international shipment via a cargo plane. This product can easily be configured for use with the 80' ultra mast (longer nesting height, but the same 1,200 lb payload capacity).